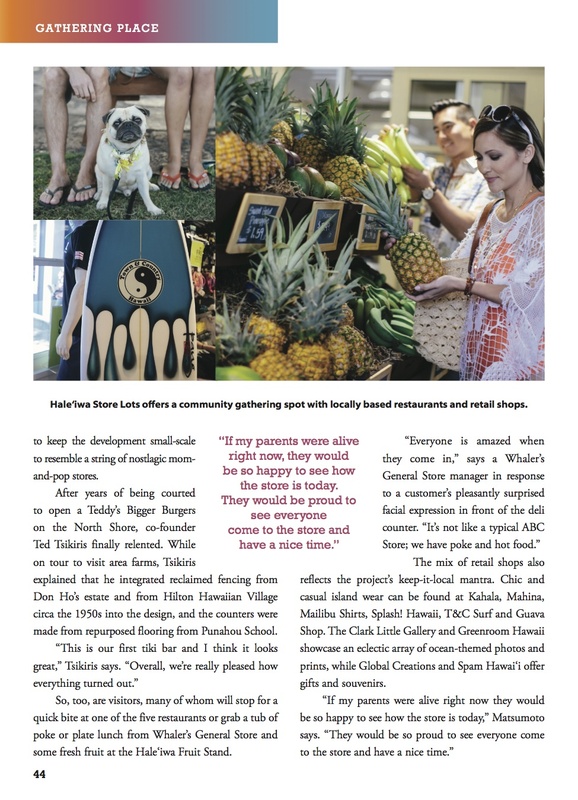 While I was on Oahu in May, I was commissioned by the Hale'iwa Store Lots on the North Shore to do an ad as well as an editorial for the new plaza space in town. One of the big attractions is Matsumoto's Shave Ice. If you are ever on Oahu on the north shore, you have to check it out! The line is sometimes longer than Disney Land, but well worth it! This editorial is a section within the Where Traveler Oahu Magazine.